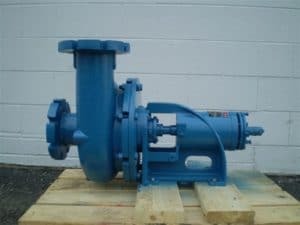 Kerr Pump and Supply helps industry solve process problems with computer designed, skid mounted, engineered, packaged pump systems. Each custom designed system is engineered and built with the specific objective of saving space, optimizing performance and minimizing cost. Kerr custom engineers and designs these packaged pump systems to save space, yet they are fully serviceable. 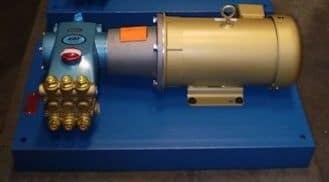 Kerr has been supplying manufacturing plants a full line of pumps, heat exchangers, blowers, vacuum equipment and related process equipment since 1905. Our years of field proven experience have enabled us to accurately evaluate operating conditions, anticipate problems and provide for future system requirements. Combining customer need with our expertise and equipment resources allows the Kerr engineer to cost effectively design a custom engineered pump package system. We use only the highest quality commercially available pumps and components which eliminates costly downtime. Each component is selected for overall system compatibility, durability and cost effectiveness. Each Kerr packaged system is skid mounted, pre-wired and pre-piped to simplify installation. Each unit is hydro-statically tested at the factory to insure trouble-free start-up. All equipment including pumps, motors, gauges, valves, piping and controls are securely assembled on heavy duty groutable skids for ease of handling and installation. If any of our custom engineered package systems should require service, our factory certified technicians get your system back on line fast. Kerr assumes total system responsibility on every Kerr packaged system. Closed Loop Hot Water Generation pump uses the ground around or under a building as their heat source. Water can be circulated to collect the energy in the ground and deliver it to a water source heat pump. Compressor Cooling reuses returning vapor or water to cool motor windings. 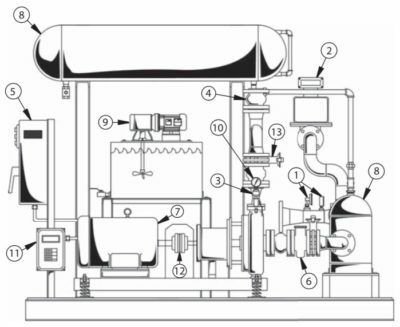 There are three methods to do compressor cooling. One uses returning suction vapor for cooling. The second method uses air across the body of the compressor. The final method wraps a water jacket around the compressor and uses water that goes to a water cooled condenser to cool motor windings. Induction Cooling Systems use pumps to circulate water through a furnace to absorb heat and then to a cooling tower where the heat gets released. 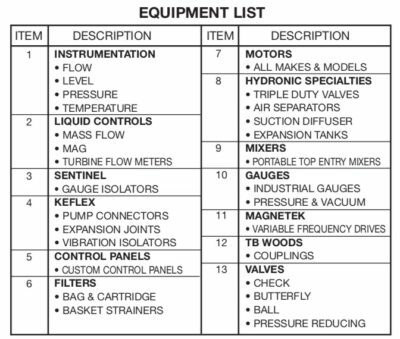 Blower Systems for Pressure and Vacuum Service is used for collection of dusty air to a central collection point in manufacturing plants. It also can be used to hold pieces of material in place on a table in the garment industry. Heat Exchanger Cleaning is done by acid cleaning, sandblasting, and high pressure water. For large scale heat exchangers water purification and addition of chemicals are used. Kerr Packaged Systems for Water Boosters, Seal Water Supply, Chemical Feed. Or-Tec for Sludge Dewatering, Polymer Dosing, Screening, DAF, Septage Receiving. Smith and Loveless for Full Line of Wet Well Mounted Pump Stations.